With our broken car key extraction solutions, stuck and jammed car keys don’t have to ruin your day. Call our automotive locksmith team 24/7 and we will arrive in under 30 minutes. Basically, we can help you with all of your emergency locksmith needs! With our broken car key extraction solutions, stuck and jammed car keys don’t have to ruin your day. After returning to your parked vehicle, you prepare to drive only to discover the key has become unexpectedly stuck inside the lock? Every day, drivers encounter delays due to jammed or broken car keys. Whenever you require assistance with broken car key removal, think of Pros On Call. As a fast 24-hour locksmith service, we’ll help resolve this aggravating situation correctly. We also handle any other problems requiring the skills of a capable, honest automotive locksmith. We hope you’ll select us as your preferred mobile locksmith in this area. Our licensed, bonded and insured firm offers around-the-clock availability. We provide well-trained, courteous locksmith technicians with five or more years of experience. Call us whenever you require locksmith services! Broken keys occur far more often than many people realize. Just like any other household tool, a metal key will eventually wear out. Both residential and automotive keys sometimes jam or break apart during use. Today, many institutions have begun addressing the issue of broken keys in official housing policy guidelines. For example, Loyola University in Chicago published a very well-written set of regulations covering broken keys. If you’ve ever encountered problems with a key sticking inside a lock or shattering apart during daily use, remember many other people have experienced this common key-related problem. We assist you with any type of car key including laser cut keys, transponder keys, and more! We offer well-qualified broken car key extraction services. We’ll remove jammed or shattered keys correctly from vehicle ignitions. If previous extraction efforts caused damage, we can replace your auto’s ignition on the spot. 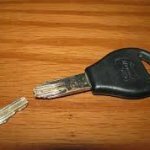 Do you require broken car key replacement? Call us! As mobile locksmiths, we possess the capability to cut new keys for you on the spot. 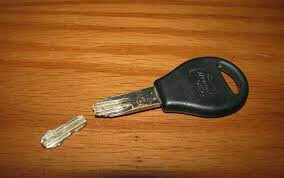 We also extract bent, jammed or broken keys from car doors and trunks. Our team uses the correct tools to prevent damage to sensitive lock mechanisms. We’ll extract bent or shattered keys quickly. We work on all makes and models. Call us whenever you need a skilled emergency locksmith. We’ll travel to your location to furnish fast, mobile assistance! You won’t need to tow your car to a garage or auto dealer in order to obtain our assistance. Whether you’ve parked in your driveway or found yourself stranded along a roadside, you can count on our team of experts to assist you! Request Pros On Call broken key removal services now for fast, friendly locksmith assistance. Call us anytime! We look forward to helping you. Broken Car Key Extraction https://prosoncall.com/locksmith/automotive/broken-car-key/ 3.8/5 based upon 26 reviews.